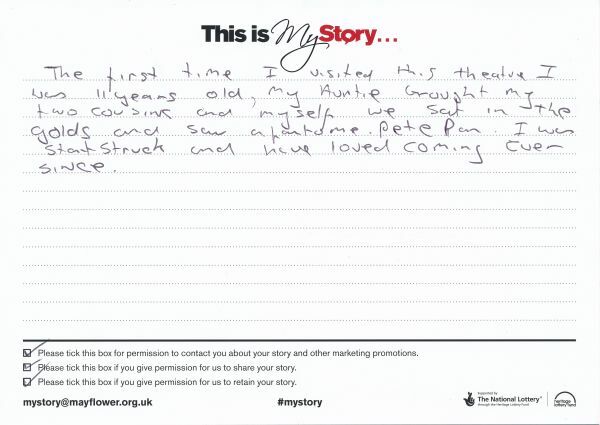 My Story card: Carol Brown remembers seeing a patomime with her auntie and two cousins. The first time I visited this theatre I was 11 years old, my Auntie brought my two cousins and myself we sat in the [gods] and saw a [pantomime]. Peter Pan. I was star struck and have loved coming ever since.